Can you have Christmas without toffee? Not at my house . 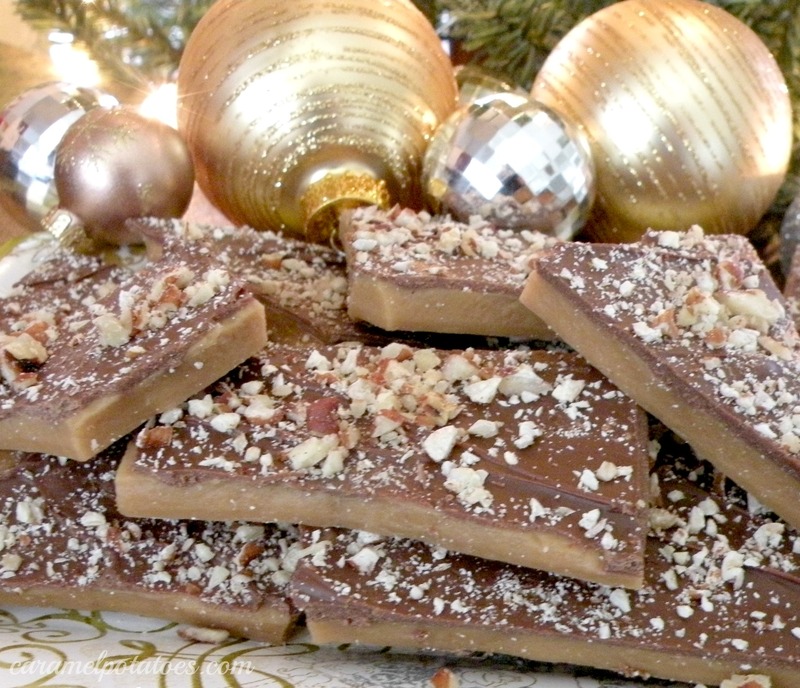 . . Every family has Christmas Traditions – toffee is one of ours; no matter what other goodies are around, there has to be toffee for Christmas! This recipe is my mother’s – we’ve been making it as long as I can remember. I love it because it’s simple; no special pan, no candy thermometer, and you can make it in under 20 minutes from start to finish! Don’t get discourage if your first batch isn’t just right – once you get the feel of it you’ll love it too. It’s perfect to add to cookie trays or to fill a tin for the neighbors! So what are your family favorite treats – the ones that just make Christmas feel like Christmas for you? Get everything ready before you begin – this moves fast! Lay out a piece of foil (about 20 inches) on your counter. Melt butter and sugar over low heat with 3-5 drops of water. Keep it low to prevent butter from separating. When butter and sugar have combined, turn heat to medium-high and stir constantly. Mixture will get foamy and bubbly. (Water in the butter is boiling out.) 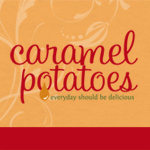 Once the water is boiled out the mixture will collapse and thicken – keep stirring constantly until the mixture turns a dark caramel color. Remove from heat and add vanilla (mixture will foam for just a few seconds and then become smooth). Pour onto mixture onto foil. Sprinkle chocolate chips on top. Let sit until chocolate melts and will spread (just a minute or so). Spread the chocolate over the toffee and sprinkle with nuts. I’ve always wanted to make this- thanks! We always have bread pudding on Christmas eve. Happy Christmas to you! Yum- I love toffee! I’ve never tried it, but this looks simple enough… we’ll see haha! My mom has all the grandkids over to decorate sugar cookies. Not sure if there is more frosting on them or the cookies lol! Have a great Christmas and thanks for all the wonderful recipes! Our traditions are simple – hot chocolate and the Christmas Story. It’s not Christmas at our house until we make fudge!